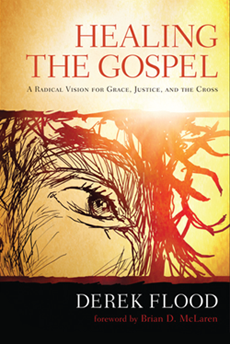 The Rebel God: Pass it on: Disarming Scripture is on sale on Kindle for just 99 cents! Pass it on: Disarming Scripture is on sale on Kindle for just 99 cents! My book Disarming Scripture is on sale on Kindle for just 99 cents, marked down from the regular price of $8.99. That's a pretty huge savings, and it's only for a limited time. So go get it! You already bought the book you say? Well, if you liked it then consider giving the book to that special someone. You can "gift" it to them for less than a buck. How awesome is that? Our world is increasingly becoming a violent place, and all too often that violence is justified in the name of religion. We need to face that in ourselves and learn how to approach the Bible -- learn how to approach life -- like Jesus did. 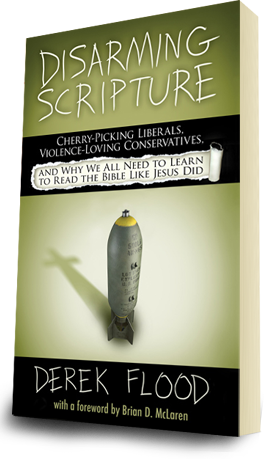 That's why I believe that the message of Disarming Scripture: : Cherry-Picking Liberals, Violence-Loving Conservatives, and Why We All Need to Learn to Read the Bible Like Jesus Did is so important. That's why I want to see the book reach a wide audience. And so, for a limited time, I'm practically giving the book away. If you feel the same, I could really use your help: Please help me spread the word about this with Tweets and Facebook posts. Email your friends and tell em too. Thanks Derek! Looking forward to reading it. Sorry Derek, but the link above takes me (Canberra, Australia) to Amazon yes, but at the regular price. Currently Amazon does not offer the Kindle Countdown Deals in countries like Australia. So this deal is only available to U.S. customers. Unfortunately not something I have any control over.